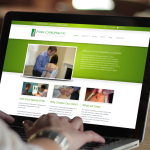 Prime Chiropractic were opening a new practice in Grantham, Lincolnshire. The owner, Mark Jessop, got in touch with me asking for a leaflet design and a new website. As well as creating the leaflet and website I also gave his logo a make-over. 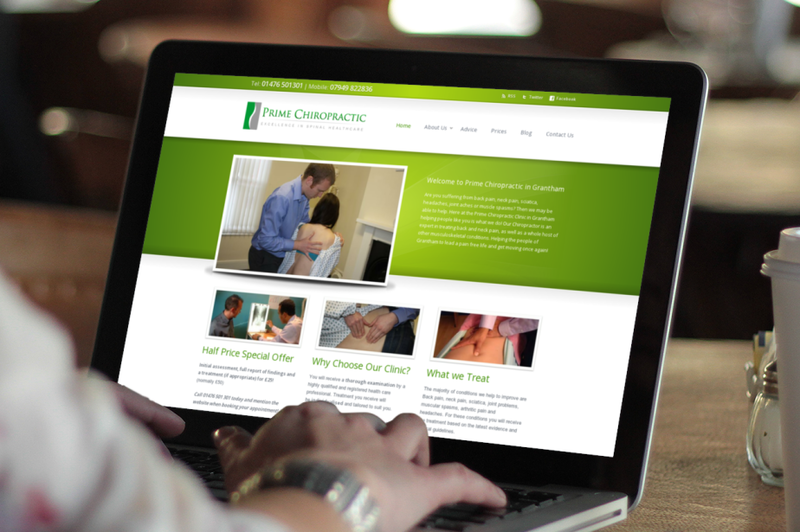 Previously the website was built with 1and1 and although it was easy to manage, it wasn’t the most professional looking website. The new website was built in WordPress which means that Mark can still manage his website with the same ease as before, but now his website looks so much better. 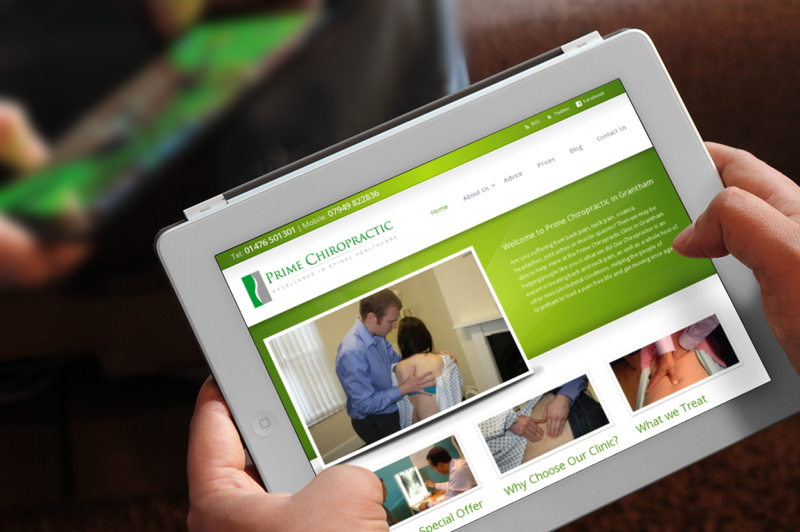 I needed a professional website and leaflet designed for my Chiropractic clinic and so contacted Wayne to do this for me. He was extremely easy to communicate with and I had no problem conveying to him what I had in mind, he understood and took on board exactly what it was I was after. I am very pleased with the end result. Wayne has been extremely professional producing work of a high quality quickly and was always very prompt in getting back to me and making any changes I requested. He has also provided me with guidance on how to maintain the website and make changes myself. I am not usually very good when it comes to technology like that but I found his instructions simple and easy to follow and am able to do it with ease. It has been a pleasure working with Wayne and I will definitely be using his services again for any design work I need in the future, and will be recommending him to friends who may need a website or design work doing for their businesses.